Gold traded lower Monday, starting the week on a softer note as traders said a positive tone for stocks and other assets perceived as risky robbed the metal of haven-related demand. 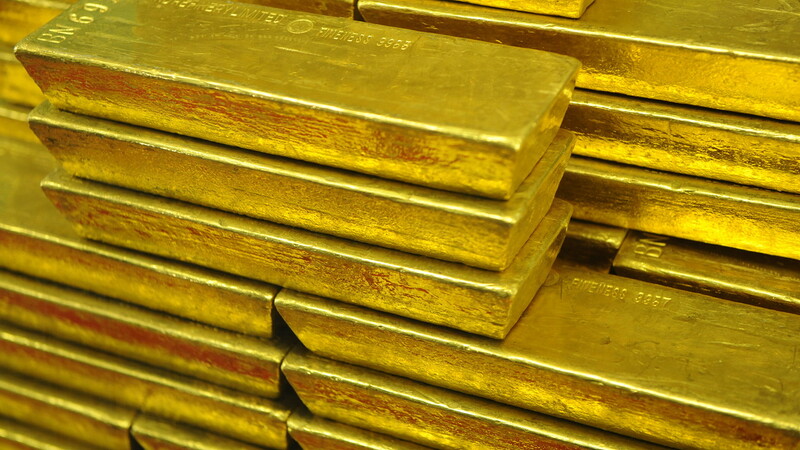 Gold for June delivery GCM9, -0.54% on Comex fell $6.10, or 0.5%, to $1,289.10 an ounce, while May silver futures SIK9, -0.62% were off 8.88 cents, or 0.6%, to $14.875 an ounce. “While prices continue to hover around the $1,300 level within the broader $1,275—$1,325 range, I suspect gold market participants are keeping a close eye on macro developments hoping for an extension of lower real interest rates before aggressively chasing gold prices higher,” said Stephen Innes, head of trading and market strategy at SPI Asset Management, in a note. The SPDR Gold Shares ETF GLD, -0.10% is up around 0.5% in the year to date, while the iShares Silver Trust SLV, +0.21% is off 3.2%. In other metals trade, July platinum PLN9, -0.98% fell $8.50, or 0.9%, to $890 an ounce, while June PAM9, -0.82% lost $11.10, or 0.8%, to $1,339.10 an ounce. May copper HGK9, -0.58% fell 1.65 cents, or 0.6%, to $2.9295 a pound.